Amari Cooper played college football at Alabama. He was the Biletnikoff Award winner as the nation's top receiver and a unanimous All-American in 2014. Considered one of the top wide receiver prospects of the 2015 NFL Draft, he was selected 4th overall by the Raiders. 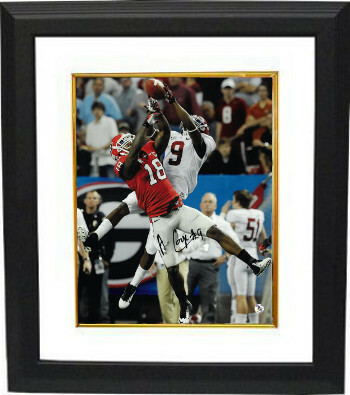 Amari Cooper signed Alabama Crimson Tide 16X20 Photo. Bama Authentics Hologram and Certificate of Authenticity from Athlon Sports Collectibles. Custom White Mat and Premium Black Color Framed as shown.